We all know I am queen of lounge ware. As soon as I get home, I change out of my scrubs (so uncomfortable, right?) and put on my leisure suit. For those of you that may be new here, my leisure suit is not a new thing. In fact, all of my sisters and I have our own version of the leisure suit. What it includes: comfy sweat pants (or shorts for summer), a nice old teeshirt (I wore one of John’s), a luxurious robe (we all have robes from the Four Seasons, and some amazing slippers. Add in a cozy blanky, some sort of yummy hot drink, and wha-la! You have got yourself a leisure suit. 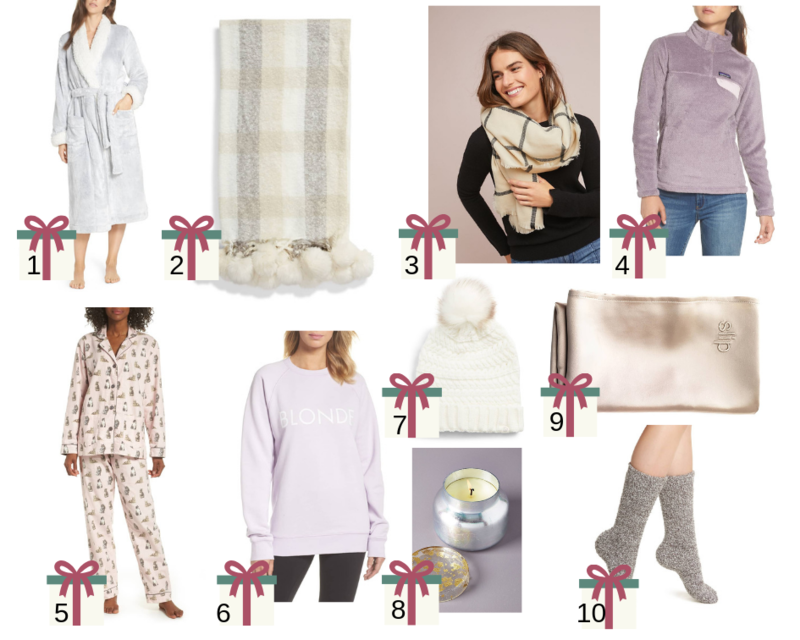 So, in true Melissa fashion, I had to make my very first gift guide of the 2018 all about perfecting your own personal leisure suit. I have provided all of the essentials here. Here are my thoughts, buy it for yourself, buy it for your sister, buy it for your friend, buy it for your mom…if I were you, I’d buy one for everyone so that you a) you can be done with your shopping, and b) you can all call each other on the phone and talk about just how comfy you are in your new leisure suit! So much more! The opportunities are endless! Essentially, this outfit is good for anything and with the cold weather coming in full force, you better grab one fast!